April 19, 2019 From 6:00 pm to 7:00 pm 425 College St. 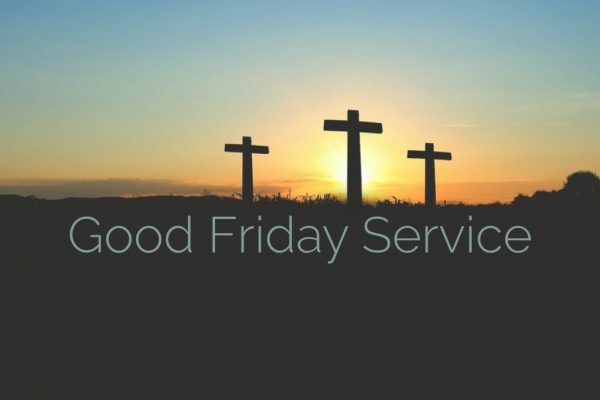 Please join us at ECV on 4/19 at 6pm for our Good Friday service. There will be scripture, song, and reflection on the significance of Jesus’ death. Children are welcome to participate in the service but there will also be a special program downstairs for them. Please join us at ECV on 4/19 at 6pm for our Good Friday service. There will be scripture, song, and reflection on the significance of Jesus’ death. Children are welcome to participate in the service but there will also be a special program downstairs for them.